The Samsung Galaxy S10 series won’t be announced until next Wednesday in San Francisco. But if you’ve already decided that one of the next-gen flagships is going to be your next phone, Samsung is kindly giving you the chance to reserve one. Starting today you can head over to Samsung’s official website and secure your right to purchase the new flagships as soon as pre-orders start. There is no option to choose which model – Samsung does warn that not all versions are eligible for the offer – but you can select an unlocked model. Alternatively, carrier variants designed specifically for AT&T, T-Mobile, Sprint, Verizon, and US Cellular are available. The reserve period continues through 11:59 pm EDT on February 20th. This would suggest that pre-orders will start shortly after the event. Once they do, those of you that may have reserved a Galaxy S10 have up to 72 hours to complete the transaction. Doing so will guarantee delivery by March 8th. Reserving the smartphone doesn’t cost any money but Samsung does kindly highlight the big savings that could be made by trading in your old phone. More specifically, consumers that plan on replacing a Galaxy S9/S9+, Galaxy Note 9, iPhone 8/8 Plus, iPhone X, iPhone XR, iPhone XS/XS Max, LG V40 ThinQ, or Google Pixel 3/3XL will be able to save a whopping $550 on their purchase. Naturally, not everyone will be looking to replace new smartphones such as these. Because of this, any Samsung flagship since the Galaxy S6 can be traded in. Similarly, iPhones dating back to the iPhone 5S can be swapped, as can all of Google’s Pixel flagships. A range of Motorola smartphones is also eligible, as are a number of older LG models. Samsung is yet to confirm the pricing of its next-gen flagships but according to leaks, the Galaxy S10e will start at $749 in the US. 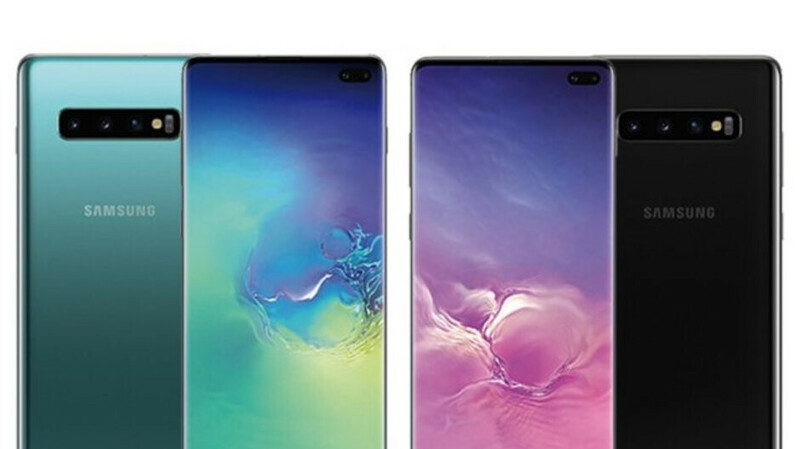 The regular Galaxy S10, on the other hand, is set to undercut certain other flagships with a price point of $899 while the Galaxy S10+ should start at $999. No trade in plans for Note 7 FE? Bummer. I’ll admit, when the design first became known, I was vehemently against it. But now it’s really growing on me. I guess it just takes adjustments to these types of things. They forgot the LG g7 ThinQ is a thing. Those trade in values look pretty decent for the most part. Nice, but I can wait. The trade-in sounds solid though! Would be nice to know the supported bands before the announcement. But I'd imagine the T-Mo (my carrier) version would be slightly cheaper than the unlocked version. Can't trade in my one plus 6T? Not sure if I would even want too. Sammy wants many folks to but the s10, that's a wide range of eligible phones for trade in. it's always better not to get the first batch. Also, they will be very expensive so it's better to hold on for the promotions. Great deals! S9+ was $840 when it was released. 1 year later they give you $550 so I think it's fair price. I bought it with a plan and some discounts exactly 1 year ago for about $700 so if I get an offer to replace it for S10+ and $550 discount - I will be first on the line. Hopefully I will see similar deals in my country as well but most of the times the best deals are going to US only. Thailand have a promotion that sounds similar to this but the difference is you can reserve S10 right now till February 20th without seeing it, and receive it 5 days later on Samsung's February 25th Event in Bangkok. Which means that you will be one of the first in the world to own S10. Ps. Sorry for my super bad English. You are not saving anything. You are paying again the total price. By giving your phone that has some value you are just upgrading. Am sure i can get even more than just 150 $ for my S7 Edge so it would better for me not to trade it. Sell the old , buy new and thats how it works for most of the people. Only in case they give you discount without the need for you to give them your phone you can call it saving. This is just stupid pricing how does the s9+ the note 9 and so have the same trade in value?? even worse, the regular S9 is the same value as the Note9. The S9 was $720 and the Note9 was $1000, almost a $300 difference. That's crazy!! S9+ being worth $550... how much is the S10+ gonna be then?? I use Tmobile but travel often and use different SIM cards, should I get the unlocked version and will it give me lte and WiFi calling on Tmobile? Trading in my note 8 for S10 plus.